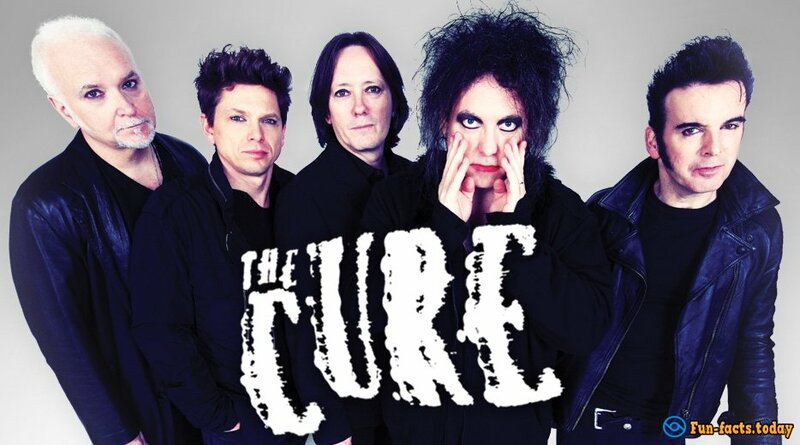 The Cure is one of the greatest alternative rock bands in history. They've got a huge fan-base, tons of record-breaking singles/albums and a unique style that can't be duplicated because only they can compose, play and sing that way. True, they've had a lot of fender-benders in the past, and Robert Smith is the one and only member that "survived" all the cataclysms and always stayed in the band, but, given the fact that they've been around for 4 full decades, that is pretty normal. Back in the 70's they were a part of the whole new wave/post-punk movement that was leading up to yet another musical revolution in the UK. In the 80's the band was playing some really dark songs that had a huge influence on gothic rock. So, as you can see, these guys are legendary, and, if you take some time and take a look at the list of interesting facts about Cure, you might turn into one of their biggest fans! - The Cure officially formed back in 1976 in Crawley, West Sussex. By the way, did you know that originally the band was called The Obelisk? Next, they changed the name to Easy Cure (sounds pretty awesome!) and even got a record deal; however, they didn't get to release even one song, and that's when they became The Cure. - Interesting facts about The Cure: The band's very first single, "Killing an Arab" from their debut album Three Imaginary Boys, created a huge buzz in the music industry and received much controversy. As for their second single, "Boys Don’t Cry", it became really popular and even sent them on a promotional UK tour with none other than Siouxsie and the Banshees! - Cult Hero, a 7-inch single, was pretty unique, as it featured vocals from close friends and family. Oh, the local postman laid some vox tracks as well! The Cure's breakthrough song, A Forest, managed to hit #31 on the UK Chart. The band's third LP, Faith, peaked at 14 on the UK Charts. - Interesting fact about The Cure: That same year the fellas went on a tour, and Robert Smith, the leader of the band, left the stage a couple of times with tears in his eyes. He said in an interview that the songs were too deep and he just couldn't help himself. - Disintegration was their biggest hit to date and managed to sell 3+ million copies worldwide! In 2003 The Cure left Fiction, the one and only label that they've been signed to for all those years, and joined Geffen Records. A year later they received an MTV Icon Award from the hands of Marilyn Manson. - The guys from My Chemical Romance said once that The Cure is one of their biggest influences and inspirations. 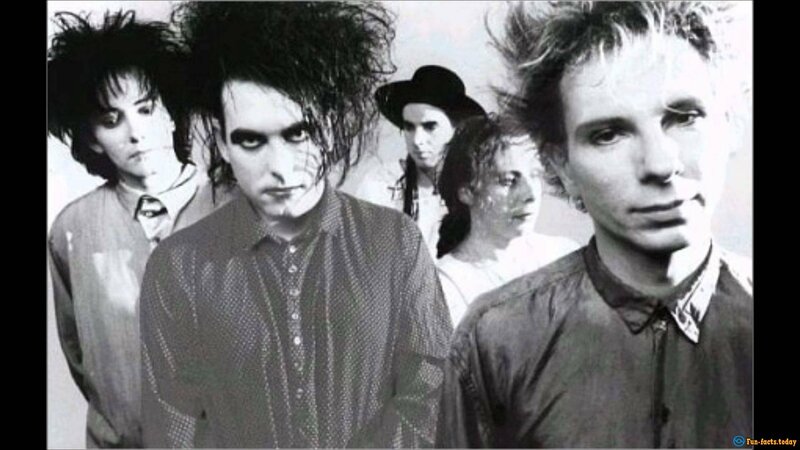 - Another interesting fact about The Cure: Some of the band's titles were used by directors for their movies, including Just Like Heaven and the 1999 hit Boys Don't Cry. 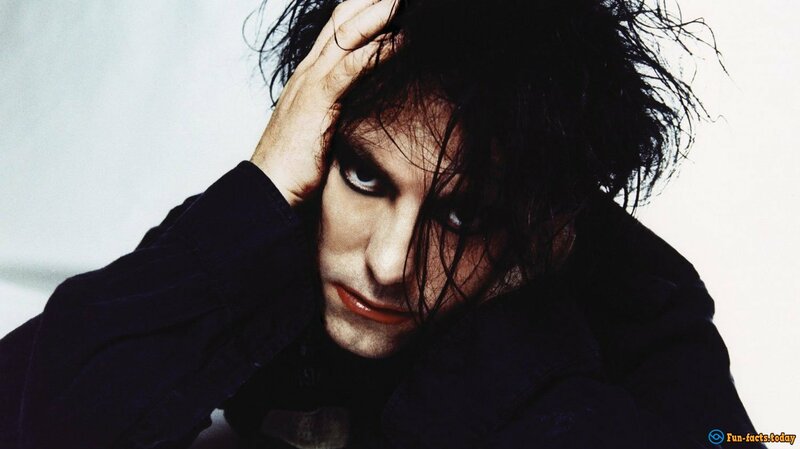 - Robert Smith's voice has always been in the center of critics' attention - some loved it, others hated it, but they all described it as an unusual and powerful one. And, his lyrics were a bit part of the band's success as well, as he managed to mix sadness with joy, happiness with devastation.